We have a track record in creating effective political advertising on the national stage. 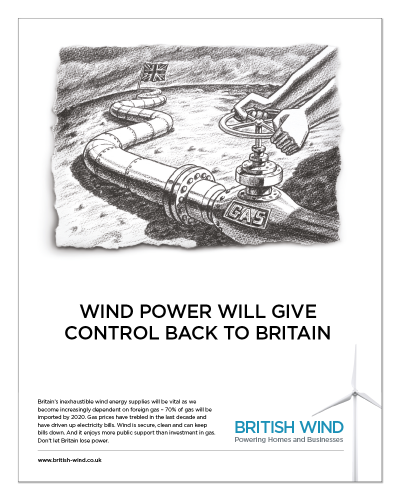 A recent example is a campaign that ran in the Spectator for the British Wind consortium, designed to challenge opinions in Government about the efficacy of wind power and to promote its role in providing secure, cost-effective power for Britain’s future. 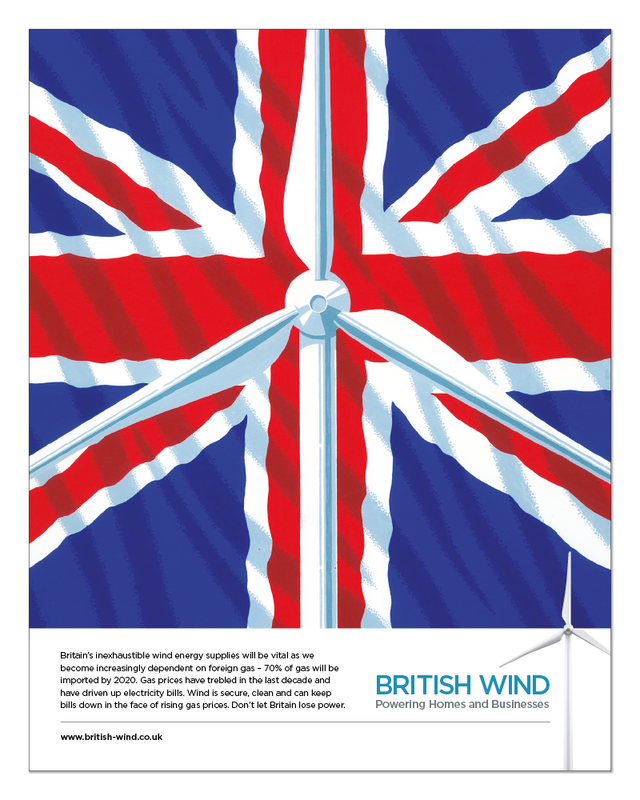 The British Wind Consortium commissioned the campaign through its public affairs agency, Bellenden (now known as Newington). 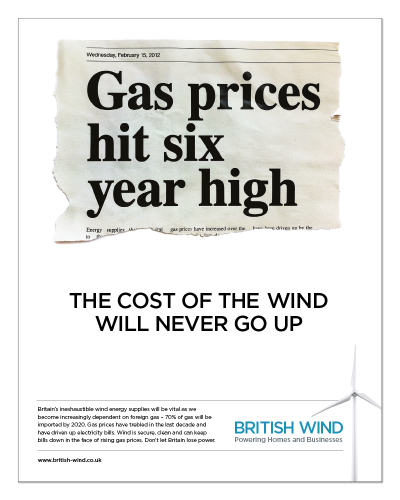 The advertising is deliberately challenging to anti-wind thinking, designed to prompt a properly informed debate around the key issues of energy security. The campaign led to discussions on BBC Newsnight, comment in the Guardian and Sunday Times and coverage on Regional BBC news programmes across the UK. Given the current political upheaval and uncertainty on both the national and world stage, there are plans for the campaign to be extended over the coming months.